1) After deciding to pull the trigger on a home remodeling project, first develop a set of high level plans and a budget. The plans can be as simple as just a few hand sketches however they should include top level dimensional information, key features and a list of the type of construction material desired. This type of information is extremely helpful for architects and builders, and will save you a bundle of money in developing blue prints and building plans. Establishing an upfront budget is also key in saving money, as it sets your financial limits before construction begins. The design of the home remodeling plans can be tuned to your budget to minimize the risk of cost overruns. Also keep in mind that when undertaking a home remodeling project, budget overruns frequently happen. Therefore it is wise to include a 5-10% contingency in your budget. 2) Obtain multiple contractor quotes, never accept the first bid that you get, and always check references. Make sure you thoroughly review the quote and read the fine print. Frequently there is small print for engineering change notices, material cost overruns, etc. Make sure you fully understand the cost ramifications of making late changes and that the quote is a firm, fixed quote. Also check the references. Ignorance can be very expensive so it is important that you know who you are hiring before you hand over a large deposit to them. 3) If a contractor quote includes allocation budgets for flooring, lighting or bathroom fixtures and recommends you deal with a specific home improvement store, ask the contractor and the store what type of reduced contractor pricing rate you are receiving. 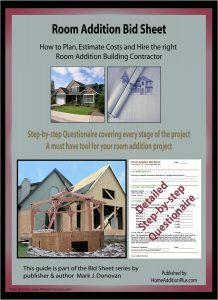 If none or little is offered, then consider this in your evaluation of the contractor quote. 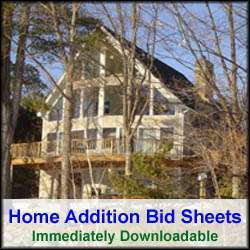 4) Develop a schedule for your home remodeling project and stick to it. This may mean having to occasionally be on your general contractor’s case, or his sub-contractors. However, a project that is poorly managed can cost you in terms of lost time or inefficient use of labor, which always translates into higher expenses. Delays can also result in loss of project slated sub-contractors or higher fees from them. 5) When developing your high level remodeling plans consider what tasks you personally might be up for tackling. Interior painting and trim work can cost a small fortune. With the right commitment level and a few basic painting and carpentry tools, e.g. a paint brush, ladder, miter saw and a coping saw, you can save yourself a bundle on labor costs. 6) Most contractors want to order the construction material for you in a home remodeling project. The reason for this is that they charge a fee for their effort. That fee can be 10-20% of the material costs. Negotiate with the contractor to purchase the material yourself and have it delivered directly from the home improvement store. 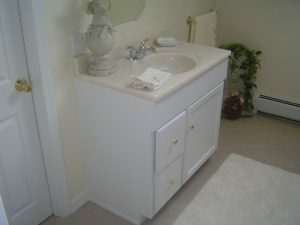 You can save a small fortune in project costs by purchasing the construction material yourself. This effort can be time consuming, however if you have a good and clear bill of materials (BOM), you can frequently leave it with the contractor organization within the home improvement store and they will work up the costs for you. In addition, they can pallet the material and deliver it to your job site. 7) Always obtain multiple BOM proposals, and if necessary break up the BOM into a few different sections. For example if you are building a home addition, doors and windows may be cheaper at home improvement store 1, whereas lumber material may be cheaper at home improvement store 2. 8) Monitor the status of the home remodeling project daily. This way you can be on top of any deviations from the plans or poor workmanship. By catching a problem early you can minimize the cost impact to the project. In addition, if God-for-bid you see a change that you want to make, you can possibly identify the change earlier rather than later. Note that making an engineering change after the work has already been completed has a cost impact of 3X what it would have cost if you had specified the requirement correct the first time. 9) Keep your future sub-contractors apprised of the remodeling project status. By keeping your sub-contractors in the know, you remind them that they will be imminently required on your job site. In addition, if your project gets delayed or pulled in, the sub-contractor may be able to tweak his or her schedule to match your home remodeling projects schedule. 10) Finally, always try to maintain a healthy working relationship with your general contractors and sub-contractors. This does not mean that you have to bow to their every need or timeline. It simply means show them the same respect that you desire, even though they are working for you. Remember that a happy employee will, more often than not, work harder and longer, and produce a better quality project than a disgruntled one.